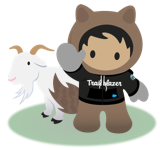 Can anyone suggest a good Salesforce dedupe/data validation tool? I am in the middle of executing a significant data migration for our business. Around 700,000 records with 20 years of history. One of the main issues we have had in the past is dupes (we have around 60000 in the system) and we are looking for a good deduping app which will be both economical and efficient. We are a 130 licence organisation. Can anyone make any recommendations on tools you have used that have worked well? Thanks Miss Meryl. I am always a bit suspicious of freeware tools but wil give Dupecatcher a try. Do you recommend Demand Tools as your first preference? Try to use merging to eliminate prevoius duplicate records. +10 for everything Meryl said. Don't be hesitant, it's a fantastic free tool for preventing duplicates from being entered in the system in real time, by your users. However, it won't help you in your 700K records scenario because it doesn't support bulk de-duping. RingLead is the only app I know of that actually prevents duplicates. They can prevent a dupe web form, list upload, or manual entry before it's actually saved as a new record. They can add the pre existing record to a campaign or update a field value to trigger content or other communication. All the apps mentioned above create dupes and then delete them. This causes a potential issue if your org utilizes workflows on new lead creation. CRM Fusion and RingLead both have world class data cleanse applications for merging pre existing data. I hear RingLead is coming out with a new version of their data cleanse that will allow users to merge records from multiple systems!!! ERP's, Marketing Automation, etc. You can try TIBCO Clarity for free. It provides fuzzy matching service for de-duplication. TIBCO Clarity is the data cleaning and standardization component of the TIBCO Software System. It serves as a single solution for business users to handle massive messy data across various sources, applications and systems, such as database, cloud storage, TIBCO Jaspersoft, Spotfire, ActiveSpaces, MDM, Marketo and Salesforce. TIBCO® Clarity makes it easy for business users to profile, validate, dedup, address cleansing, standardize, transform, and visualize data so that trends can be identified and smart decisions can be made quickly. TIBCO Clarity provides both on cloud version and enterprise edition version. CRM Refresh (https://crmrefresh.com/) - is a new tool for Salesforce. It validates all your leads and/or contacts and can fix or find the replacement person in Salesforce. CRM Refresh (https://crmrefresh.com/) also recgonizes duplicates so you can merge or remove those as well. It uses maching learning from roughly 1,200 email service providers and phone companies to validate your leads and contacts are still valid. The handy dashboard allows you to track your CRM freshness and accuracy. Sales reps report saving 2.5 hours a week by eliminating wasted email and phone activity. Sales and Marketing teams show a 12-18% increase in contact accuracy within 30 days. Can anyone suggest a tool that can fix existing duplicates in Account, Contact and Leads? RingLead is the best cloud-based dedupe tool. It allows users to fully customize logic and merge rules. It also does cross table lead to contact and lead to account cleanup & linking. Lastly, RingLead also works with custom objects. If you would like more info, please let me know.